If you’re not so savvy in the kitchen, consider beefing up your skills with an informative cooking class. From learning the Italian basics to gourmet desserts, you can learn to cook or bake just about anything of your choosing. 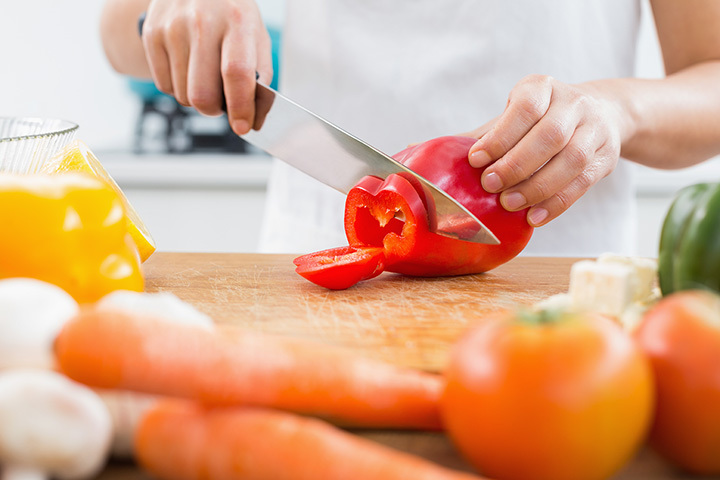 Get ready to step up your culinary game with these 10 awesome cooking classes in Michigan! Montague's Bygone Basics offers you the chance to cook in a fashion that would make Aunt Bee herself approve. Featuring lessons on biscotti—did you know it means "twice cooked"?—pies and plenty beyond that, this class will give you a great rundown in some of the, well, bygone basics of cooking. It's not just old-fashioned fare, either, as you'll even learn some Japanese cooking styles in here, along with more about jams, fermentation, and other fare that may never have crossed your mind. The Flint Farmers Market in Flint is known for its produce. Enter Feast, a line of cooking classes staged in the same place you buy the produce. Feast offers a dizzying array of options from stir fry to seafood to cooking with beer produced in Michigan. Even those unfamiliar with the chef's knife can get a primer here, covering most every part of the cooking concept. Head to Grand Rapids for Downtown Market's cooking class options. You'll have plenty of waterfront to cover with this lineup, as you'll be able to choose from pasta, segue into sushi, and even learn how to mix a choice cocktail before dinner. That's just for starters, though, as an array of classes will offer up a full menu of dishes to put together for most any occasion. Interested in pies that would rival Twin Peaks' own cherry pie? Want to cook Mediterranean without a lot of hassle? How about tapas? Settle in at Downtown Market to learn all the secrets. We've talked about Bravo! before for its impressive Sunday brunch and Italian options, but this Kalamazoo landmark features a little something extra in its cooking classes. With different programs led by owner and chef Shawn Hagen, you'll learn how to work with food fusions, outdoor grilling, or even a brunch to match Bravo! 's own. They even throw in the recipe packet. So while you can find plenty of great things to eat at Bravo!, you'll be just as solidly off learning to cook there too. Artisan of Grand Haven—which is not surprisingly in Grand Haven—is well-known for its gourmet dishes in its restaurant. Perhaps lesser-known is its cooking classes option, which offers up a slate of "inspirational recipes" direct from the kitchen. There's a demonstration version and a hands-on version, and most classes will run through three or four different recipes, providing a range of options for those who attend. Though it might sound unusually specialized, the cooking classes at Holland's Fustini's Oils and Vinegars won't be specifically related to oils and vinegars. You can rest assured they will feature in the recipes, but you won't be sitting down to a big bowl of seethed olive oil. Featuring classes in techniques, with demonstrations, or even hands-on events, students will cover salads, meats, reductions and a host of other culinary points that call for oils and vinegars. While we've seen farmers markets offer cooking classes, it's perhaps even more unexpected for plant nurseries to do likewise. Pinehill Nursery in Torch Lake offers periodic cooking classes. They actively harvest from a garden geared to support their attached cafe, and then use the immediately-harvested produce to create dishes. If it got any fresher than it gets at Pinehill Nursery, you'd get a couple mouthfuls of dirt with it. Traverse City's Oryana Natural Foods Market doesn't just offer a cooking class—it offers cooking classes for different applications. Those looking to get started can take the class known as the Basics, while others can duck in for the Lunchbreak series from noon to 12:30 to make a fast lunch. The Gazebo series offers a "balanced menu" featuring two or three dishes that are then shared out family-style. The sheer variety makes Oryana's cooking classes worth considering. If you've ever wanted to get your kids involved in the kitchen doing more than asking what's for dinner or whining about the answer, then pack up for Rochester and Rata2ee. Rata2ee offers a wide array of programs for the budding chef, ranging from an after-school program called the Rata2ee Rascals working up to the one-week summer sessions of the Rata2ee Rangers. From simple meals to gardening instruction, the Rata2ee—a play on the French dish “ratatouille”—program will fill the bill. Cooking classes can even take on a new dimension in the Upper Peninsula. Marquette's Marquette Food Co-Op offers a variety of classes for those who want to learn more about food and how it's prepared. From gardening to cooking, as well as some private presentations and workshops featuring speakers, the Marquette Food Co-Op will deliver lessons for every stage of the food preparation process.